Petrina Coventry is Cognicity’s Principal in Asia, as well as Industry Professor, Adelaide University Faculty of the Professions and Business School, and a partner with Asia based COI Capital Pte Ltd.
Petrina has spent over twenty years working in Asia, the United States and Europe, in global leadership roles across multiple industry sectors, including energy, education, fast moving consumer goods, banking and private equity, with General Electric, Coca Cola, Proctor & Gamble and Santos. Her work in the areas of ethics & governance, organisational strategy and policy has led to increased involvement with governments, industry associations and consulting groups across the Asian region. 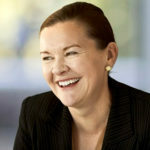 Petrina is an ethicist by background and is a Fellow of the Australian Institute of Company Directors and the Australian Human Resource Institute (AHRI), and has held a Vincent Fairfax Fellowship . She is a non-executive Director of the AHRI, an independent Board member of the Australasian Association of Philosophy, and a non-executive Director of Beston Global Food Company Ltd.